El Cajon, Calif. – For decades, the FOX 2.0 Factory Series Reservoir smooth body shock has been the ultimate performance suspension upgrade for stock or lifted trucks and SUVs–but unwilling to rest on its laurels, FOX has gone back to the drawing board to make the 2.0 Factory Series Reservoir shock even better. New for 2014 are aluminum reservoir bodies with integrated O-ring sealed air valve caps and improved universal reservoir mounting clamps. The new 6061-T6 aluminum external reservoirs dissipate heat faster than the previous steel reservoirs, providing precise control no matter how hard you push your shocks. The aluminum reservoirs are anodized black and provide the shocks with an increase in oil and nitrogen capacity while delivering a striking race appearance. 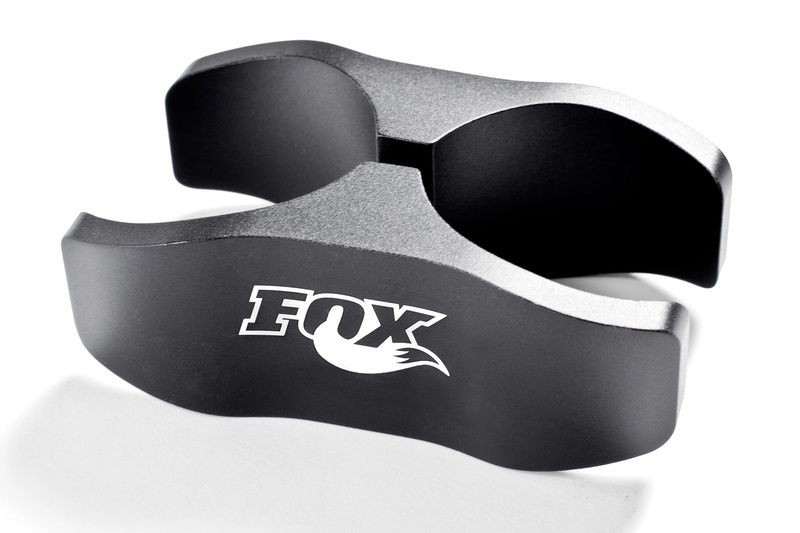 The completely redesigned optional FOX Aluminum Reservoir Mounting Clamp has a larger surface area to securely mount the reservoir to the shock body. The new black anodized and laser etched FOX 2.0 reservoir mounting clamp will work with any existing 2.0 Factory Series or Performance Series smooth body reservoir shock, regardless of reservoir material. 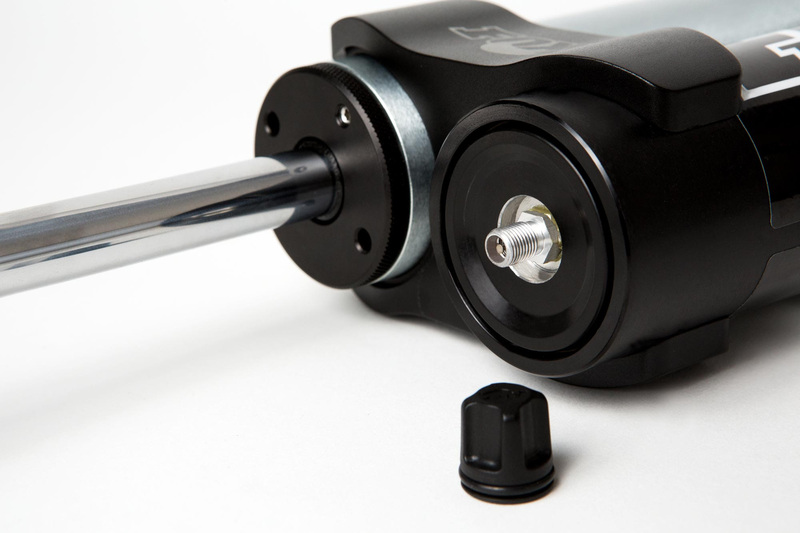 Capping off the new 2.0 Factory Series Reservoir shock is an integrated O-ring sealed cover for the FOX Air Valve (FAV). The new capping system provides an increased level of safety to ensure the valve is not damaged or discharged while battling the elements of off-road driving. To achieve even greater control, using an optional FOX Compression Damping (CD) Adjuster allows you to customize your shock controls of any terrain in 8 or fewer clicks. These new features build upon what was already the best shock for the money. 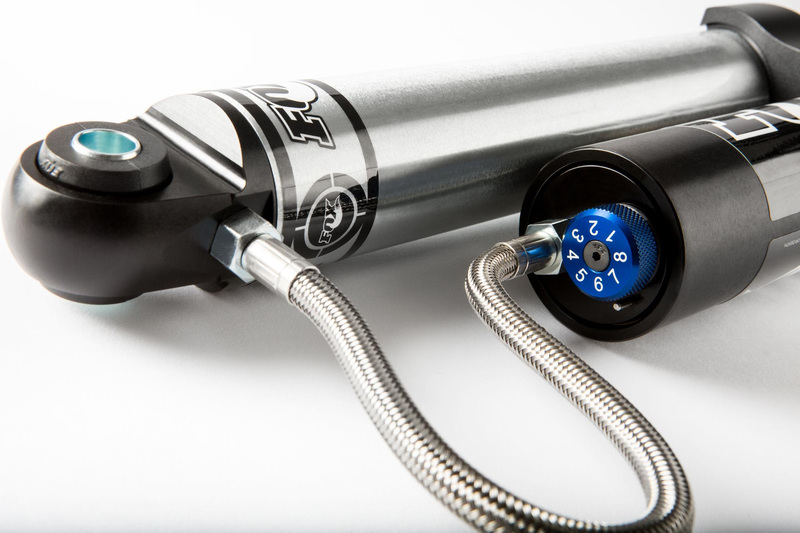 With its rebuildable design and race-proven features like 5/8″ hard chrome plated heat-treated alloy steel shafts, anodized aluminum hardware, and a redundant shaft sealing system, FOX’s new 2.0 Factory Series Reservoir shocks are available in a simple bolt-on package for most popular trucks and SUVs. The 2.0 Factory Series Reservoir shocks start at $234.95 and are also available in standard universal lengths to fit any custom built project you can conceive.